Swedes have a penchant for hotel bars and The Grand Hotel is, as its name suggests, a classic high-end choice for those after a decadent tipple. 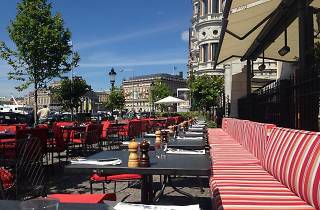 It’s a waterfront landmark, looking out towards Stockholm’s Royal Palace, so grab the perfectly-plumped oversized sofas by the windows in the light and airy front lounge section to get the best view. Alternatively, bed down in the moodier, mahogany-paneled back area where the bar itself is located. Unsurprisingly it’s all a little pretentious, so this place won’t be for everyone. But the Grand Hotel’s impeccable service reflects the fact that it’s been welcoming the city’s well-heeled elite, alongside global intellectuals, dignitaries and celebrities for more than a century. The sommeliers here really know their stuff, although beware wine and spirit prices are steep, even when compared to other swanky spots in the city. 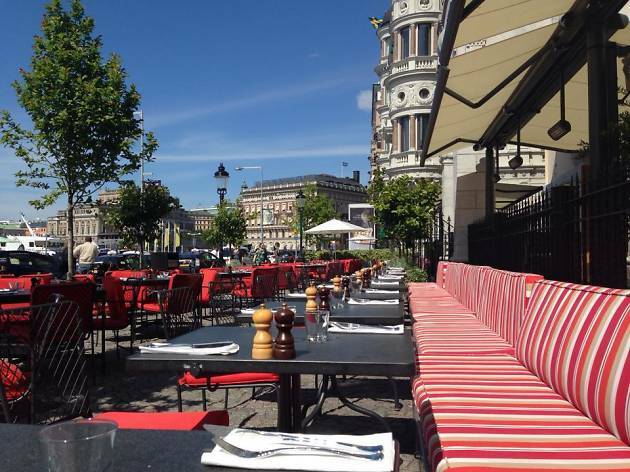 Time Out tip: The Grand Hotel’s waterfront bar is also one of Stockholm’s classic afternoon tea spots. If you don’t want to splurge on the full menu, a basic cuppa or a coffee is affordable and on weekdays you should have plenty of space to spread out and enjoy the view.